Cesc Fabregas hopes Eden Hazard will stay a little longer at Chelsea but knows the Belgian has always had his heart set on joining Real Madrid. 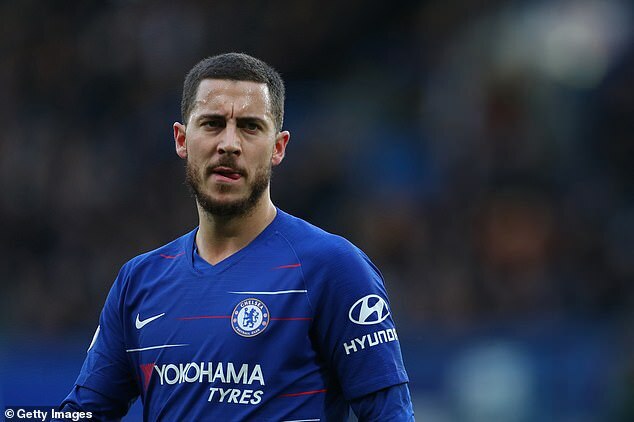 Hazard’s prospective £100million move to the Bernabeu is moving closer, with the forward revealing this week he has made a decision on his future and would reveal all soon. Fabregas, who played alongside Hazard at Chelsea before joining Monaco in January, hopes he will see through his Stamford Bridge contract until 2020 and possibly beyond. ”Let’s see what he decides to do. He has a year and a half left and he is happy at Chelsea and so is his family,’ Fabregas told Radio Marca. ‘But in the end they are very personal decisions. He likes Madrid and he has always said it. Hazard, 28, has been in excellent form for Maurizio Sarri’s side this season, scoring 15 goals and contributing 10 assists. He scored twice in last Saturday’s 5-0 drubbing of Huddersfield Town in the Premier League and will hope to make an impact when they travel to leaders Manchester City on Sunday.